» What does this tell book thieves? What does this tell book thieves? A little too ambiguous perhaps? 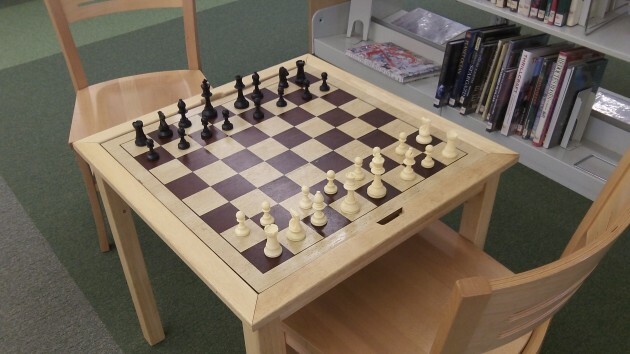 While we’re on the subject of libraries, allow me to call attention to this sign. 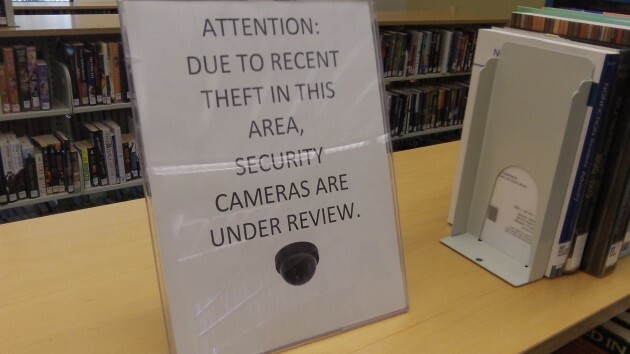 It sits on a shelf in an out-of-the-way section of the Albany Public Library’s main branch, and it seems to let thieves know that they may still have time to steal something before cameras put the place under surveillance. A staff member told me that’s not what the sign is intended to say. Instead, it is meant to say that security cameras are watching you. Maybe it’s effective the way it is, but only if thieves read the word “cameras” and pay no great attention to what “under review” implies.